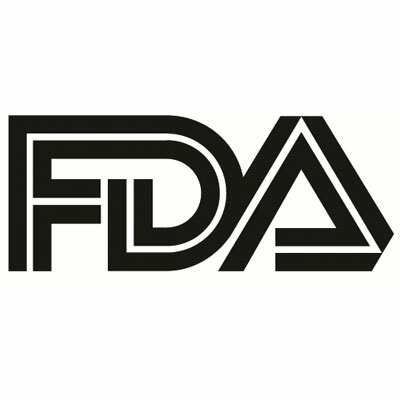 The US Food and Drug Administration (FDA) has granted Fast Track designation to an investigative vaccine designed to prevent disease caused by chikungunya virus. PaxVax, an independent specialty vaccine company, is developing the prophylaxis. Chikungunya — a disease which causes headache, muscle pain, skin rash, and severe joint pain that can persist for years — spreads through mosquito bites and can result in widespread outbreak. According to the US Centers for Disease Control and Prevention (CDC), the rate of infectious diseases transmitted from tick, flea, and mosquito bites to humans has more than tripled in the US in recent years. Trials for the PaxVax vaccine, which is a virus-like particle (VLP) treatment licensed from the National Institute of Allergy and Infectious Diseases (NIAID), recently began enrolling for a 400-paitent phase 2B dose-finding study. A previous phase 2A study conducted by the NIAID’s parent organization the National Institutes of Health (NIH) tested the vaccine’s effects in participants. The virus is anthropod-borne and shares a close relation to other viruses identified in Africa, South America, and Australia. It’s a small, spherical RNA virus vectored by the daytime-biting Aedes aegypti mosquito — better known for transmitting Zika virus, yellow fever, and dengue viruses. Chikungunya has only recently be come a domestic issue. The first local transmission of the disease in the Americas was diagnosed in the Caribbean in late 2013, but it has since been identified in 45 countries in the Western hemisphere. The Pan American Health Organization has identified more than 1.7 million possible cases since the first identification. Residents of and travelers to sub-Saharan Africa, Southeast Asia, India, the Caribbean, Central America, and South America. Individuals at greater risk of serious complications due to the virus include infants, elderly people, and people with chronic medical conditions. “It is exciting to see this vaccine candidate moving forward with Fast Track designation as this is an extremely debilitating disease with the potential for causing serious long term sequelae,” Harris said in a statement. Lisa Danzig, MD, chief medical officer, ParVax, said the Fast Track designation is yet another positive step for the vaccine’s development, as well as being a recognition of the unmet clinical need. “This is another example of the capabilities of our technology platform and our steadfast commitment to developing specialty vaccines that protect against overlooked infectious diseases as mosquito-borne diseases continue to increase due to air travel and warmer weather,” Danzig said. Results of the phase 2B trial are expected to be finalized in early 2019.